We consider the problem of modeling and reasoning about statements of ordinal preferences expressed by a user, such as monadic statement like “X is good,” dyadic statements like “X is better than Y,” etc. Such qualitative statements may be explicitly expressed by the user, or may be inferred from observable user behavior. This paper presents a novel technique for efficient reasoning about sets of such preference statements in a semantically rigorous manner. 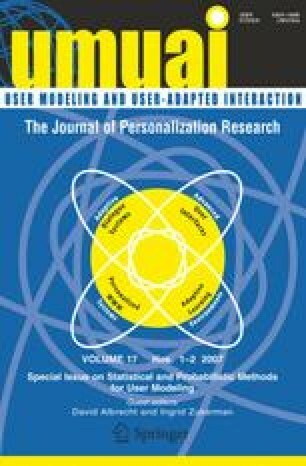 Specifically, we propose a novel approach for generating an ordinal utility function from a set of qualitative preference statements, drawing upon techniques from knowledge representation and machine learning. We provide theoretical evidence that the new method provides an efficient and expressive tool for reasoning about ordinal user preferences. Empirical results further confirm that the new method is effective on real-world data, making it promising for a wide spectrum of applications that require modeling and reasoning about user preferences.